Staff Sgt. 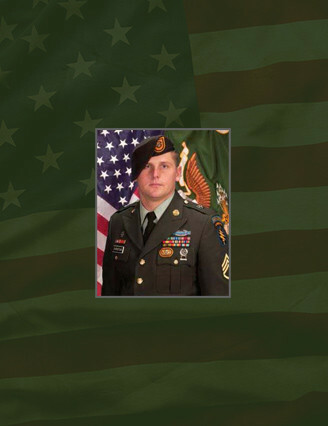 Rusty Hunter Christian, 24, of Greenville, Tenn., died when an improvised explosive device exploded during a patrol Jan. 28, 2010 in Oruzgan Province, Afghanistan. He was assigned to Company C, 2nd Battalion, 1st Special Forces Group (Airborne), Joint Base Lewis-McChord, Wash., and was deployed in support of Operation Enduring Freedom. This was Christian’s second deployment in support of Overseas Contingency Operations. He enlisted in the U.S. Army Feb. 4, 2004. Upon completion of basic training and advanced individual training, he was assigned to 3rd Brigade, 2nd Infantry Division at Joint Base Lewis-McChord as an infantryman. In 2008, Christian volunteered for the Special Forces Assessment and Selection Course and completed the Special Forces Qualification Course in August 2009. He was then assigned to 2nd Bn., 1st Special Forces Group at Joint Base Lewis-McChord as a Special Forces engineer sergeant. His military education also includes the U.S. Army Airborne School, Advanced Leaders Course, Warrior Leaders Course, Combat Life Savers Course, Survival, Evasion, Resistance and Escape Course, Defense Language Institute Indonesian Course and the Special Forces Qualification Course. He was posthumously awarded the Bronze Star Medal, Purple Heart, Afghanistan Campaign Medal with one campaign star and the Meritorious Service Medal. Christian is survived by his wife, Amber Christian and their children, Taylor and Gavin Christian of Orting, Wash. He is also survived by his mother Donna Ball and stepfather Jim Ball of Kingsport, Tenn; his father Michael Christian of Laurel Bloomery, Tenn.; and his brother Aaron Christian of Kingsport, Tenn.